View cart “Energy” has been added to your cart. Beyuna Energy is a vitamin-enriched energy drink. It also contains the patented ingredient PowerGrape®, acerola cherry and American Ginseng (Cereboost). 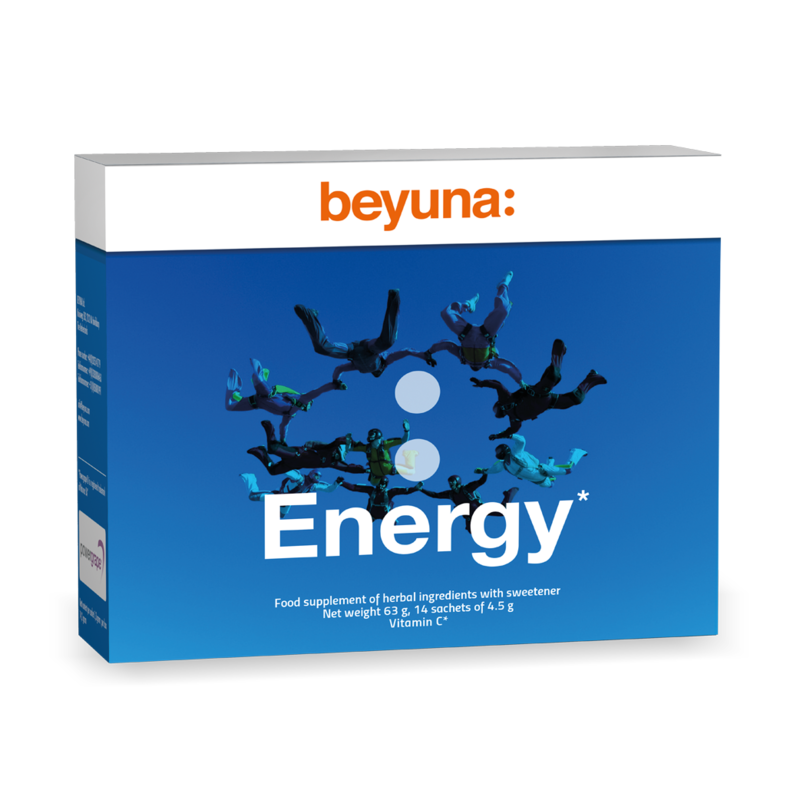 Beyuna Energy supports energy levels and contributes to normal mental performance. Beyuna Energy has a positive influence on the functioning of the nervous system and helps the immune system. The recommended daily dosage for adults is 1 sachet per day. Take 1 sachet of Beyuna Energy* per day dissolving the powder into a glass of water. Food supplements are not a substitute for a balanced diet. A healthy lifestyle and a varied, balanced diet is vital to maintaining good health. The expiry date refers to the unopened product, correctly stored.